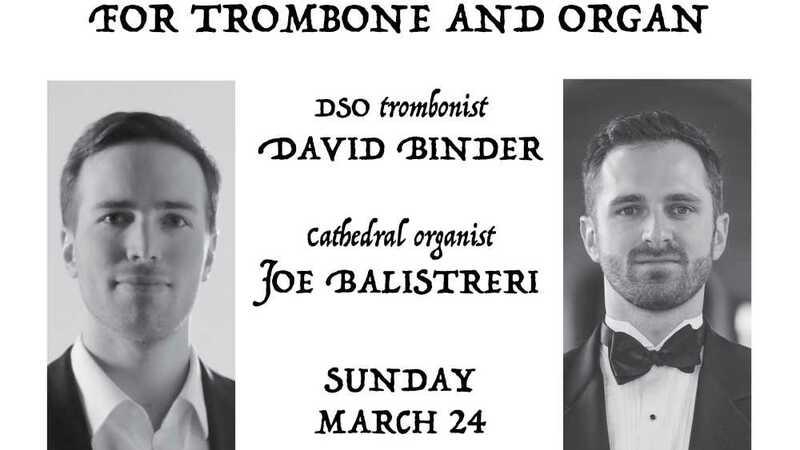 On Sunday, March 24 at 4 p.m., the Cathedral Cultural Series presents a concert of original works and transcriptions for trombone and organ, with Detroit Symphony Orchestra’s trombonist David Binder and Cathedral organist Joe Balistreri. Works will be performed by composers Eben, Genzmer, Handel, Krebs, Krol, Liszt, and Schiffman. The concert will be held at the Cathedral of the Most Blessed Sacrament, located at 9844 Woodward Ave., Detroit, MI 48202. There will be a free-will offering. Doors open 45 minutes prior to the concert. Free, secure parking is adjacent to the Cathedral. To receive updates or more information please write to [email protected], call 313-237-5782, or visit cathedral.aod.org.